Long Islanders can expect humid weather with temperatures in the 80s and a chance of daily showers throughout the week, forecasters said. After a clear Sunday night with lows in the 60s, temperatures on Monday will rise to the low 80s with the chance of a passing shower or thunderstorm overnight into Tuesday. 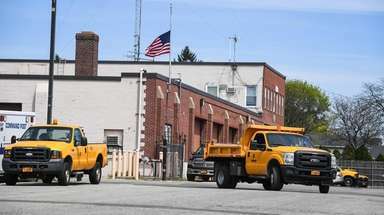 From Tuesday onward, there will be a chance of a shower or thunderstorm each day until Friday, said National Weather Service meteorologist Joe Pollina, who is based in Upton. “It’s not going to be a complete washout,” Pollina added. On Tuesday, high temperatures will be in the low 80s, with a low in the mid 70s. On Wednesday, for most of the Island, temperatures will be in the low 80s, with the chance of temperatures in the mid 80s for Western Long Island, forecasts show. On Thursday, temperatures are expected to be in the mid 80s and fall to the lower 70s. Friday has a high in the lower 80s and overnight, temperatures are expected to be in the lower 70s, according to the forecast.